Spring is drawing near. Daylight gets a little longer each day. It is the season when many people are thinking about buying a boat. Of course, that means it is also prime season for selling boats. Are you considering putting a boat on the market? If you don’t have much experience selling boats, there are many factors to consider. Brokers or dealers are good options if you have a newer boat, or one that is in good shape, with a high resale value. Brokers and dealers typically don’t want to handle lower-end boats because of the small commission. Before you make a decision to sell a boat on your own, it is always a good idea to calculate what your time is worth. If your salary is $80,000 a year, you are earning around $40 an hour. If it takes two hours to hook up your boat to a trailer, drive to a boat ramp and put it in the water, you have basically spent $80 worth of your time before you have even taken a test ride with a prospective buyer. Do that a few times and you might have wished you had used a broker or dealer. If you decide to sell the boat yourself, consider using online resources such as eBay, Craigslist, OfferUp, or Swip Swap. The key to success is to describe your boat honestly, using plenty of photos. It is important to communicate promptly. When using eBay, set the reserve as low as you can stand. 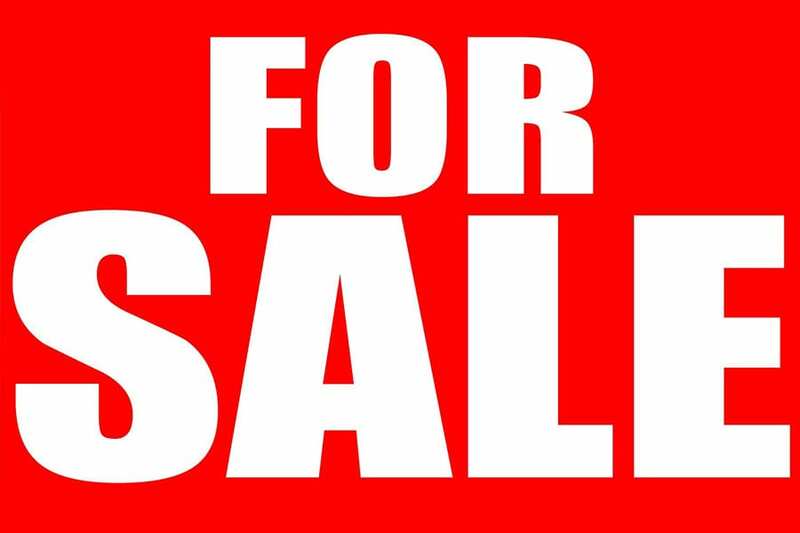 Another option, find a good spot on the side of a busy road and post a for sale sign. This low-tech marketing approach can be surprisingly effective. Prepare you boat to sell quickly. § Positive first impressions are vital. I can’t believe how many sellers have dirty, smelly boats that show poorly. Make sure your boat is waxed, clean and shiny, including the carpet, engine, cushions, etc. If you don’t have the time to do it yourself, hire a detailing company. It could be the best money you ever spent. § Make sure everything works properly. No jury-rigged systems. Make sure the boat runs well. (I can’t tell you how many times I’ve seen sellers get to the goal line and fumble because the boat was not in proper running condition.) Clean the bilge. Pump out the holding tank. Don’t use some artificial fragrance to mask the smell. It won’t work. § Get all your personal stuff off the boat. Everything. If you don’t plan to sell it with the boat, remove it. Cluttered boats don’t show well. § Consider having your boat and engines surveyed and make the survey available to serious buyers upon request. A survey will not only point out the items that need to be corrected but also will help a potential buyer decide on whether your boat is worth an offer. The internet is a powerful tool but online buyers can’t touch or walk through your boat. A professional survey conducted by a SAMS or NAMBS surveyor will add credibility to your listing and separate you from the pack. § Go online and check a variety of internet sites. Yachtworld, BoatTrader, Boats.com, etc. Print a copy of all the comparable boats. Note the total number and note any key features other boats either have or don’t have. Also, look at other boats’ engine hours. Do they have trailers, bottom paint? This is all important. You always want to compare apples to apples. What do I need to know before attempting a solo boating outing?